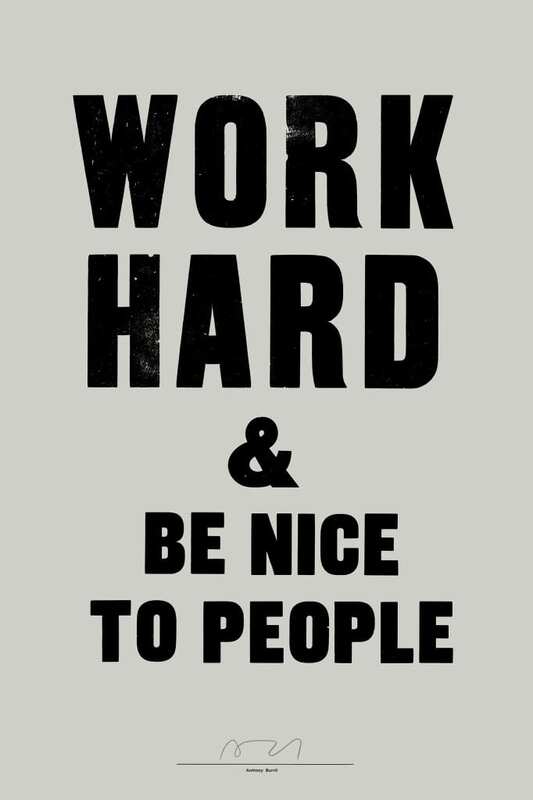 Inspire a great work ethic with this striking screen print by Anthony Burrill. Printed by Adams of Rye onto 100% recycled paper using traditional letterpress techniques. Graphic artist, print-maker and designer Anthony Burrill is known for his persuasive, up-beat style of communication.